We deliver our fences locally or ship motor freight throughout the United States. For local delivery please call for pricing at 603-344-6500. For motor-freight to other states, all shipments are packed professionally and carefully to prevent damage in transit and are fully insured. To a residence deliveries are via lift- gate, meaning the driver will lower the pallet to ground level. No part of the fence can be longer than 8’ on a lift-gate delivery. 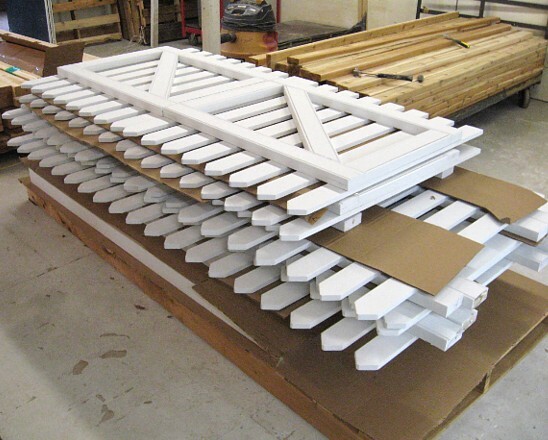 For orders over 8’ long we need to ship to a business that has a loading dock or a forklift. Orders can also be picked up by you or your shipping company at our in Rollinsford, NH. 603-344-6500.